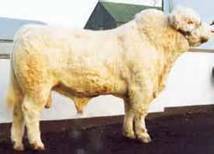 Six Solitude bulls sold February/March 2007 averaged over 9,500gns. 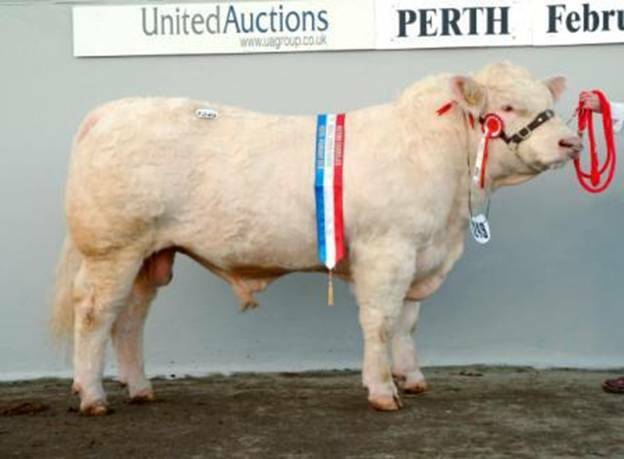 ‘Attaboy’ was Junior and Supreme Champion at Perth February 2007 and sold for the top price of 32 000gns, which was a Record Price for a Bull of any breed to be sold from Northern Ireland. 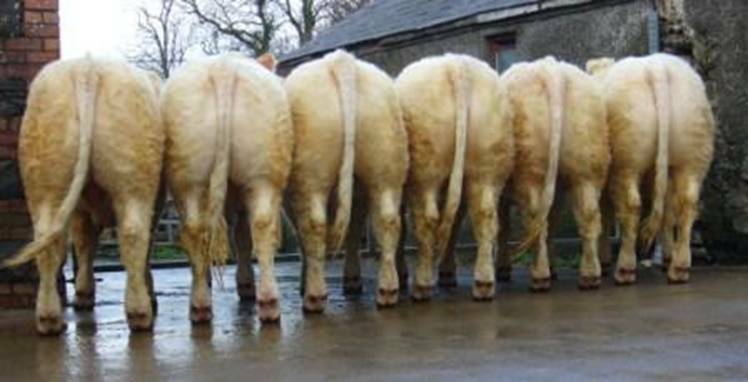 He sold to Balmyle, Cardean and Newhouse herds who have a combined total of 160 cows. Highroller is a fleshy well made bull. Sired by Pirate and out of the Goldies Usher daughter Ella he is a combination of very easy calving bloodlines and has Calf ease and Gestation length figures in the Top 10%. 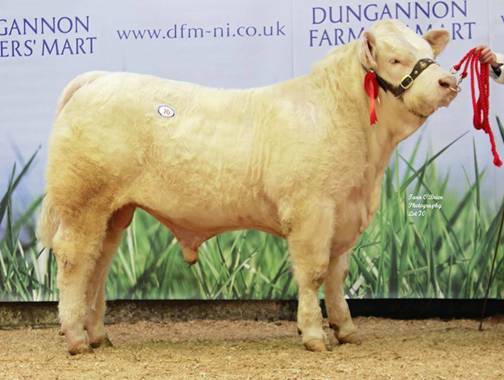 He sold for 3400gns at the March Sale in Dungannon 2014. 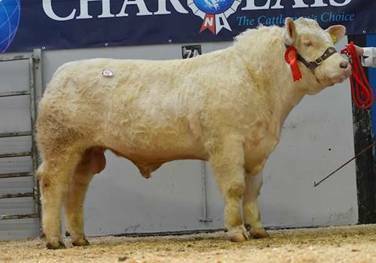 Harvey is another muscular fleshy son of Lisnagre Elite who is rated as the Number 1 bull in Southern Ireland for Suckler beef value, weanling export and Beef carcass and is in top 30% Calf Ease on Breedplan. One of Elite’s first calves was Junior Male Calf Champion at the Irish National Show 2012 and the Reserve Champion at Dungannon May 2013 Solitude Hannibal. Hannibal was a 3/4 brother to Harvey. 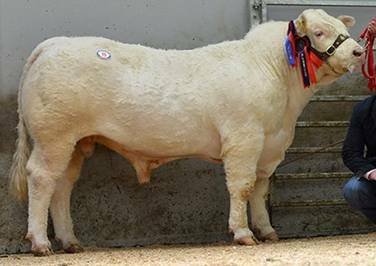 Harvey sold for 3600gns at Dungannon March 2014. Leopold is a muscular son of breed legend Oldstone Egbert. 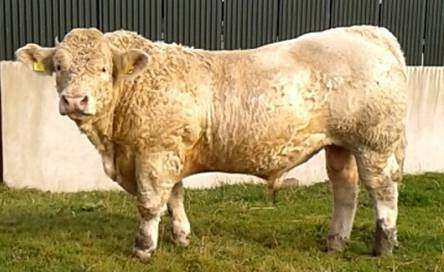 His dam Guadalupe was purchased after being placed Senior Female Calf Champion at the Irish National Charolais Show at Carrick on Shannon in 2012. She is a maternal sister to Goldstar Echo, sold to NCBC AI Stud. Her sire Utrillo Mic is a new bloodline to the British Isles, selected in France for his ability to produce top class beef cattle while adding maternal traits such as calving ease, milk and fertility making him a blend of old and new genetics. His full brother Ingot sold for 3400gns at the March Sale in Dungannon 2015. He was the youngest bull forward in Dungannon March 2016 Sale and sold for 3500gns. 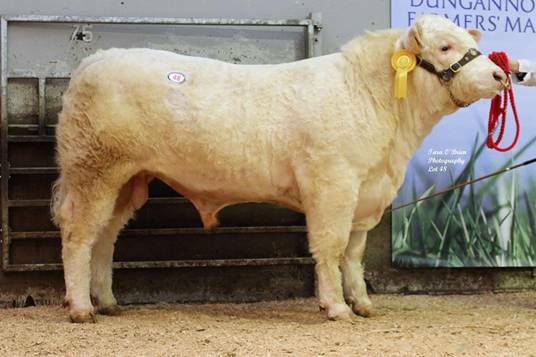 Jupiter is a stylish long bull and a heifers calf out of Guadalupe, who was purchased after being placed Senior Female Calf Champion at the Irish National Charolais Show at Carrick on Shannon in 2012. She is a maternal sister to Goldstar Echo, sold to NCBC AI Stud. Jupiter is sired by calf ease specialist Digger and Jupiter has an impressive set of figures with calf ease, GL, growth, EMA, RBY, TI & SRI all in the top 10%. Iceman is a growthy son of the 32 000gns Solitude Attaboy and Emma, a Doonally New daughter out of prolific breeder Barbara. Barbara was also dam of Hannibal Reserve Champion Dungannon May 2013 and 5 Et daughters have been retained.